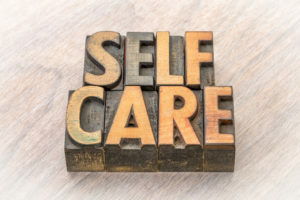 We often are very good at taking care of our family, our friends, and sometimes even strangers, but so often we forget that we need to also take care of ourselves. When we get caught up in life, work, or family, we sometimes neglect important actions of self-care. We put the to-do’s that involve taking care of ourselves at the bottom of our list and prioritize other things that we think need to get done first. The problem with this is that if you aren’t taking care of yourself, you won’t be able to go on taking care of other things because you won’t be your best self. Many times, we look at others and we see so many positive and wonderful things about them, but then we fail to recognize such positive and wonderful things about ourselves. We as humans often have a tendency to be much more critical of ourselves than we are of others, especially our loved ones. You need to remember to love yourself like a good friend or family member, if you find yourself being mean to yourself, stop. Recognize your good qualities and appreciate the positive things about yourself. All that said, it is always important to remain humble. People often tend to focus way too much of their time an energy to their work, this is especially prevalent in the American culture. Overworking isn’t healthy and won’t help you find happiness. You need to find a good balance between working and enjoying yourself. If you find yourself stressed and exhausted from work, you are doing too much. To be the best you and to work efficiently, you have to practice a healthy balance between work and leisure. Learn to develop healthier habits such as eating a balanced diet and incorporating daily exercise into your schedule. You will be amazed how much better you will feel by eating better and moving more. One of the best healthy habits you can practice is getting enough sleep every night, this will also improve your mood, energy levels, and overall health. A part of practicing healthy habits means learning to manage stress. Learn breathing exercises, try meditation, and find healthy activities that help you manage your stress. If you find that you can’t do stress management alone, there is no shame in turning to a professional and taking up stress management therapy in Carrolton. So many of us are guilty of just existing and not truly living. We get into schedules and go about our lives like robots and forget to actually make it a priority to enjoy life. Do things in life that are meaningful and make you feel good and happy. Try learning a new skill or taking up a new hobby. Incorporate things into your life that take you out of your comfort zone and repetitive schedule. Learn to prioritize taking care of yourself as one of your many responsibilities and don’t place it at the bottom of the list. Taking care of yourself also means taking care of others. If you aren’t at your best and fullest potential, then you won’t be able to adequately care for others or enrich their lives. Remember to love yourself and recognize your positive qualities and the unique things that make you specially you. If you find yourself struggling with self-esteem and self-love, you aren’t alone. Many people suffer from low self-esteem and many of them are able to turn things around by talking to a self-esteem therapist in Dallas. Here at Lifeworks, our trusted team of caring counselors would love to help you learn to practice and prioritize self-care. If you have any questions or would like to schedule an appointment, please don’t hesitate to contact us today.